Go Clipless: I'll stick to x-country riding...thank you very much! 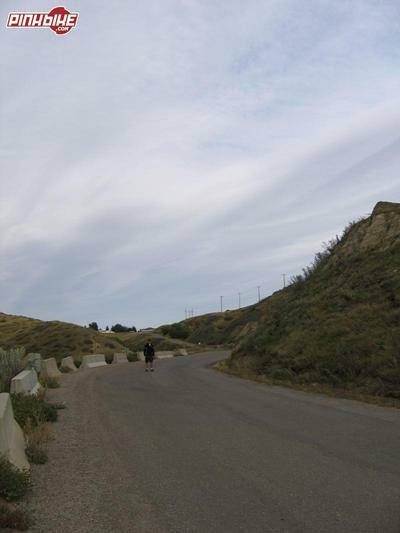 Would you jump a 40' by 70' gap like this one in Lethbridge, Alberta? Ever since I saw Unchained, I have found a new respect for freeriding and extreme mountain biking. I think it's because it makes me feel so far behind in my skills that it pushes me just a little bit harder when I am on a cross-country trail. Maybe take a larger drop then I normally do or do ever larger log hops. Basically, when I consider bailing on a stunt I have seen others do before me, I draw on these outrageous experiences to tell myself that it can't be that hard. After all, if guys like Matt can do a 40' drop, surely I can roll over a three and a half foot log set without killing myself. Found via a thread in the MORE forums.